There’s nothing like losing your job when you’re in your late 40s or 50s. A lost job comes with the challenges of searching for a new job, trying to pay the bills, and supporting a family all at the same time. No one knew this better than Roy Shah. In his late 40s, having worked as a senior executive in the supply chain department of his firm for over twelve years, Roy was laid off along with a few other senior managers in his department. Almost a year later, after finding nothing in his field and experiencing six months of mild depression, Roy ran across one of his previous colleagues, Jim, at the local coffee shop. Jim was in an upbeat mood. He said he’d never felt better and that “investing in an outplacement plan had been a life-changer.” Roy was all ears. Over a cup of java, Jim told Roy how he had been jobless for eight months straight and decided to get a mentor. Jim said his job search coach helped him to reprogram some of his thinking, which led him to landing a job in a short span of time. Don’t be attached to your title. Detach yourself from your title and you’ll be more open to looking for a job in another industry or taking orders from someone younger than you. Carrying your title can prove to be a heavy burden if it restricts you from learning new skills to get ahead. Act fast. The more you wait, the more you tend to procrastinate. Don’t kill time until your funds run out. If you were laid off, there’s a good chance there are hundreds like you in the same boat. If a job opportunity does open up, who do you think will get in? The one who sits at home and watches sitcoms? Or the one who networks and has the most drive, influence, and motivation? Jim urged Roy to act with a sense of urgency. Rediscover your skills. Jim told Roy how his job search coach helped him discover his passion and use it to make a living. “Besides my day job, I now write a featured column for a monthly newsletter. It doesn’t pay all the bills but it helps me stand out as an expert in front of hundreds of people and gives me authority and credibility.” Getting out there in front of people and branding yourself as an expert in your field can help you catch the eye of potential recruiters and maybe even receive a job offer. Jim sympathized with Roy’s concerns that starting over is difficult, especially for middle aged workers. But he suggested Roy keep his options open and be optimistic. Accepting the fact that you might have to detach yourself from your past achievements or settle for lower compensation doesn’t mean you can’t get it all back in time. “It’s a challenge, but with the right help you can get through it and actually come out stronger,” reassured Jim. Roy invested in his own tailored plan for outplacement designed for his unique individual needs. With raised self-esteem, a brand new LinkedIn profile, and an action plan for achieving his goals, Roy has the confidence he needs to build influence, form new relationships, and get ahead in his career and his life. Check out our proven nine-step outplacement program, which provides a structured approach to keep you motivated and focused, and empowers you to find a new job in the shortest period of time—no matter what your age. Talkback: Are you middle-aged and jobless? What are some of the challenges you currently face? Talk to us—we’re here to help. The successful networkers I know, the ones receiving tons of referrals and feeling truly happy about themselves, continually put the other person’s needs ahead of their own. 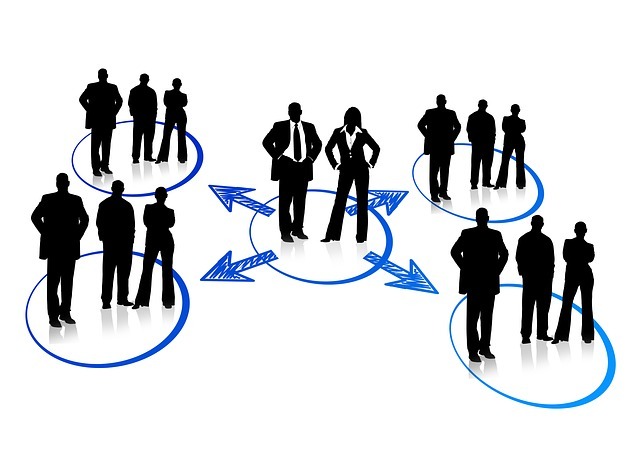 There are many methods for finding jobs, but without a doubt, networking is the most effective. It is also the hardest strategy for most people to implement, due to fear and lack of confidence. It can be nerve-wracking to reach out to people you barely know to ask for a favor. That’s why good outplacement career centers provide one-on-one coaching to help displaced employees through the networking process. Who do you know that is knowledgeable in your field or well-connected? Who might know someone who could help you? Talk to anyone who is willing to talk. You never know who might have a connection that you don’t know about. Contact the people on your list who you think might be able to help you. Make a list of questions to ask before you meet with them. These might include questions to help with your market research, questions about a specific company, or questions about how to proceed with your job search in a particular field. Use the name of the person who referred you as a reference, and start your conversation with your new contact by telling them who referred you to them. This will help you establish credibility. Be prepared to give them a reason to meet with you. Ask for an introduction to someone else in the company. If your contact works in a different department or location than the one you want to work in, ask if they can introduce you to someone else in the organization who might be able to help you. In closing, ask your contact whether there is someone else in your industry they can introduce you to, or if they know of any other companies you should consider targeting in your job search. Do you need to find a job fast? Read Find a Job in 14 Days and learn how to find work fast—even if you are unmotivated and have nightmares about job interviews!